To prevent tooth decay, we brush our teeth from the moment we wake up, after we eat and before going to sleep. For a person that has a superb dental health care, this is their daily routine. 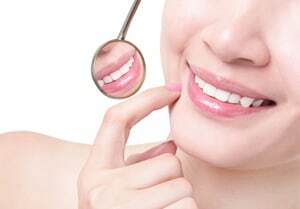 Together with flossing and rinsing of fluoride-containing mouthwashes you are surely taking good care of your teeth. Topical fluoride makes our teeth strong and also protects them from dental caries by draining into the outer surface of our tooth’s enamel. The sources of topical fluoride are available in the use of fluoride-contained mouth rinses and gels. Dentists usually advise that children should get a professional topical fluoride at least twice a year during their routine dental examinations. Systemic Fluoride toughens our teeth that have already erupted or are in the process of eruption. Most of our water sources and foods contain these type of fluoride. Most dentists and physicians usually prescribe fluoride drops for infants or tablets for children up to teenagers. Fluoride treatments have been recognized and accepted by various health and professional, and dental associations in the US. Fluoride treatment procedure is usually administered to children and adults using a liquid-like gel and uses a tray that is shaped based on the children’s mouth structure. The tray is filled with the gel material and is left behind inside the mouth for 5-10 minutes so that the tooth will be soaked by fluoride. Fluoride alone is not enough to make your teeth cavity-free. Schedule an appointment with your dentist for a professional advise on fluoride treatment procedures.